Combine several experiences in Rome with one full-day tour. 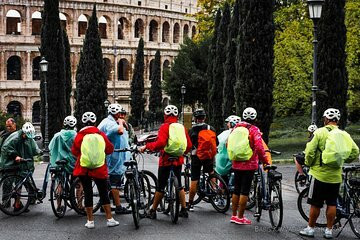 Pedal through the narrow laneways of the city center by bike and see top landmarks including the Pantheon, Piazza Navona, and Piazza Venezia. Explore the Jewish Ghetto and visit the Theatre of Marcelus. Choose between a tour of the interior of the Colosseum or the Vatican Museums.